Are You Ready To Retire? 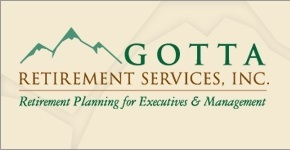 | Gotta Retirement Services, Inc. When you think that you’re ready to retire, you need to be sure that you can. Your portfolio and your savings should give you the ability to live your dreams, without compromise. Your retirement could last 20 or 30 years, so you must prepare to stretch and grow your retirement assets for decades to come. Brian Gotta can help you strategize how to do just that. He’s a retirement income planner, a financial advisor serving managers and executives. He strives to give straightforward, unbiased advice and independent investment management to make retiring easier and worry-free for his clients. Brian can help you decide what’s best for you by evaluating your deferred compensation options. Making the right choice on your pension can be the difference in maximizing your retirement income or limiting its accessibility. If you have a 401(k) plan, supplemental retirement plan or executive insurance plan, he can help you estimate whether your deferral will give you a suitable income to meet your retirement lifestyle. He will develop a strategy to take advantage of these benefits at the right time while limiting tax consequences. He can figure out how much your employee stock options are truly worth, and show you how to exercise them – whether the choice is to cash out or conduct a company stock swap. 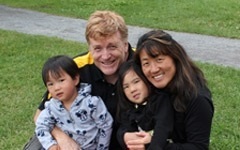 Brian’s care and sincerity has helped his clients retire confidently.